ZiiSound D5 Speaker System for Stereo Bluetooth Audio: Creative Unveils ZiiSoundTM D5 - Award-Winning One-Piece Wireless Speaker System with the Purest Bluetooth Wireless Audio Playback. Winner of “red dot design award 2010” is the Flagship of Creative’s New Range of Wireless Speaker Systems that Works With All Compatible Stereo Bluetooth Portable Devices to Deliver Unparalleled Audio Quality. The elegant ZiiSound D5 is a recent winner of the prestigious German-based “red dot award: product design 2010” in the Audio Category. It is awarded the “red dot” quality label in recognition of its outstanding design quality and product innovation by a jury consisting of top-class international experts. Its sleek appearance complements any modern contemporary interior décor. 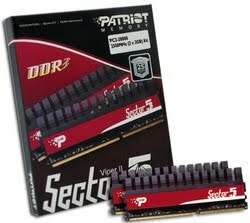 DDR3 World’s Fastest High-Performance and Enthusiast Memory: Patriot Launches Worlds Fastest DDR3 Memory – Viper II Series Sector 5 Edition 2500MHz. Patriot Memory, a global pioneer in high-performance memory, NAND flash, storage and enthusiast computer products, today expanded their lineup of DDR3 memory solutions with the launch of its new ultra-high performance Viper II Series Sector 5 Edition Extreme Performance DDR3 memory for Intel® P55 platforms. The Nokia N8, Nokia's most advanced smartphone, intuitively connects to the people, places and services that matter most. This is one of Nokia's new phones where, people can create compelling content, connect to their favourite social networks and enjoy on-demand Web TV programs and Ovi Store apps. This amazing new phone is available in select markets during the third quarter of 2010, the N8 touch screen phone has an the estimated retail price of the Nokia N8 is €370, before applicable taxes or subsidies. “The Nokia N8 offers better imaging capabilities than any other mobile device in history,” says Jo Harlow, Head of Smartphones at Nokia. With a supreme 12 megapixel Carl Zeiss optics with Xenon flash, the Nokia N8 smartphone introduces the ability to record HD-quality videos and edit them with an intuitive built-in editing suite. Doubling as a portable entertainment center, people can enjoy HD quality video with Dolby Digital Plus surround sound by plugging into their home theatre system. The Nokia N8 smartphone also offers Web TV services that deliver programs, news and entertainment from channels like CNN, E! Entertainment, Paramount and National Geographic, additional local Web TV content is also available from the Ovi Store. “Social networking is second nature to the Nokia N8,” adds Harlow. With Facebook and Twitter feeds live in one view on the homescreen, people can comment, read and send messages, update their status, share their location and photos. Missing meet ups become a distant memory with the Nokia N8 smartphone transferring your Facebook events directly into your calendar. The Nokia N8 comes with free global Ovi Maps walk and drive navigation, guiding people to places and points of interest in more than 70 countries worldwide. It will be hosted on Check out more at www.nokia.com/n8. 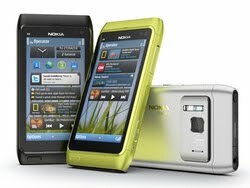 Powering the Nokia N8 is the latest edition of the world’s most used smartphone software, Symbian^3. This latest version introduces several major advances, including multi-touch and support for gestures such as pinch-to-zoom. The Nokia N8 offers multiple customizable homescreens which can be loaded with applications and widgets, and moved with a simple flick. The new 2D and 3D graphics architecture takes full advantage of the Nokia N8’s hardware acceleration to deliver a faster and more responsive user interface. With greater memory management and a visual task manager, Symbian^3 raises the bar in multitasking performance, allowing more applications to run in parallel for a faster multi-tasking experience. The Nokia N8 is Nokia’s first new device model to be integrated with Qt, a software development environment that simplifies the development and makes it possible to build applications once and deploy across Symbian and other software platforms. Nokia has also made the powerful and simple to use Nokia Qt SDK available, in its initial beta, to enable developers to start realizing the potential of Qt. Save Money While Silently Removing Kitchen Odors with Oransi’s Affordable New Refrigerator Air Purifier: The new refrigerator air purifier from Oransi is silent, lightweight and small (4” x 2.8” x 2.5” and weighs 0.2 lbs) – yet removes big kitchen odors caused by bacteria in the fridge. While highly effective, the affordable Oransi Ionic Air Purifier also saves money three ways – it is a filterless air purifier so there are no expensive replacement filters to buy, it uses 2 AA batteries every 90 days thereby costing only $1 per month to operate, and it keeps food fresher by reducing spoilage and waste. Oransi – a leading provider of new air quality and green home cleaning products, has launched an affordable new refrigerator air purifier that is low maintenance and costs only $1 per month to operate. The Oransi ionic air purifier for refrigerators features patented Piezo-electric technology that removes odors and bacteria to clean the refrigerator air thoroughly yet silently - and without the harmful side effects of ozone that normally is found in standard ionizers. The Oransi ionic air purifier is healthier than other refrigerator air purifiers and has been third-party tested by the Industrial Research Technology Institute (ITI). The ITI testing results found Oransi’s refrigerator air purifier to be 78% below the required FDA limits for ozone production. * Reducing food spoilage and waste. It not only removes odors from the refrigerator, it also removes the bacteria that cause odor and food decay - thereby keeping food and produce fresher for extended periods of time. * Using no filters – no expensive filters to replace. * Running on only two AA batteries for up to three months – the cost to operate is approximately $1 per month. A built-in micro processor controls the operation of the air purifier so it will cycle on and off to save battery life. * Easy to use – just turn it on and place in the refrigerator. * The small size is convenient - allowing it to fit in any size refrigerator. * Its neutral color and contemporary design is attractive. * Patented Piezo-electric technology allows for a high negative ion output to freshen the refrigerator without the harmful side effects of ozone that is found in standard ionizers. * It has received safety certifications from GS and CE as well as the RoHS lead free directive. * Made of durable fire-resistant ABS materials.